The Chemistry of Bronze exhibition celebrates bronze sculpture and showcases the bronze process itself. Featuring 5 established UK artists including myself. I am both exhibiting and selling my bronze sculptures. 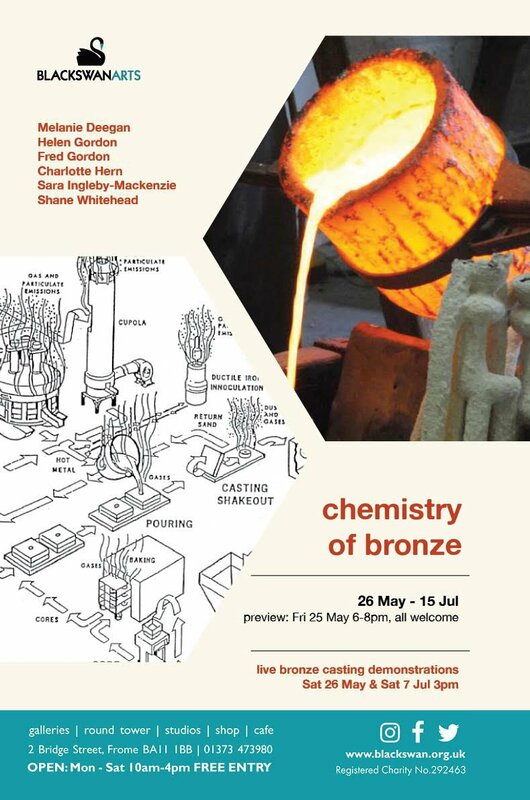 While also showing the process and different steps in bronze making (especially the lost wax method) with artefacts, tools, videos, pictures and demonstrations. All this has been made possible with the help of the bronze casting foundry Art of a Fine Nature. They have more than 25 years of experience in making bronze sculptures of all sizes and forms for artists in the UK and abroad. This exhibition will give you a rare insight into the process and technique behind an established and longstanding bronze foundry. The Chemistry of Bronze is curated by Hans Borgonjon.